No need to travel beyond Cape Cod to find homegrown grapes of the Gods. Oenophiles probably don’t think of Cape Cod as a wine destination. But connoisseurs of the grape might be slightly shocked to learn that there are three Cape Cod wineries, and all are within convenient driving distance of the Seader Inn. First Crush Winery in Harwich is just three miles from Seadar Inn. In fact, you could even walk to the First Crush Winery on Main Street in Harwich, which is only 3½ miles from our front door. However, be forewarned that the walk back could be slightly more difficult after sampling the numerous available wines, from reds like Cabernet Sauvignon, Merlot and Petite Syrah to whites such as Riesling and Sauvignon Blanc. 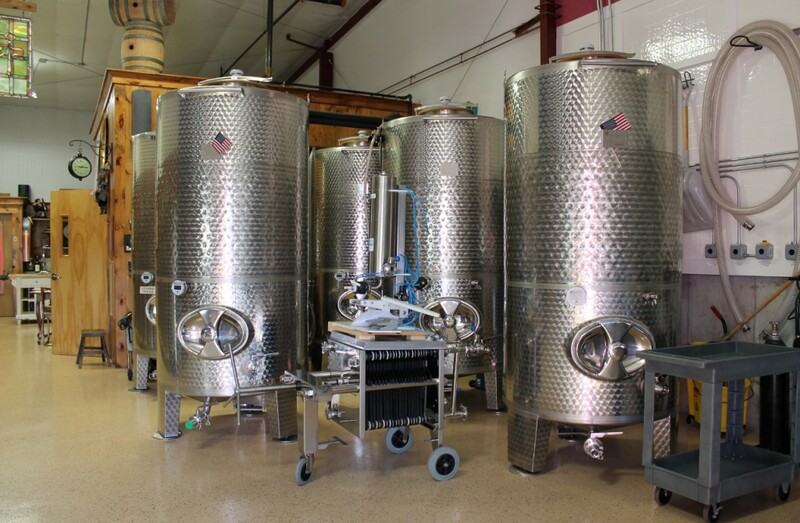 The First Crush Winery is the vision (pun intended) of Frank D. Puzio, a local eye doctor with a degree in chemistry. The name, First Crush, is a play on words that centers on both the making of wine and the enjoyment derived from consuming it. So perhaps you’re thinking: Cape Cod doesn’t have the proper climate for growing grapes with enough complexity to produce a full-bodied, long-lasting red wine. First Crush solves that issue by partnering with growers in Napa Valley. Tours and tastings are recommended by appointment and are $10. The winery is open Tuesdays through Sundays. If you want to make a day of touring wineries, you’ll have to hop in the car and drive next to Truro Vineyards, located just off Rt. 6 on the Lower Cape. Unlike First Crush, Truro Vineyards grows their grapes on the 3½-acre property. 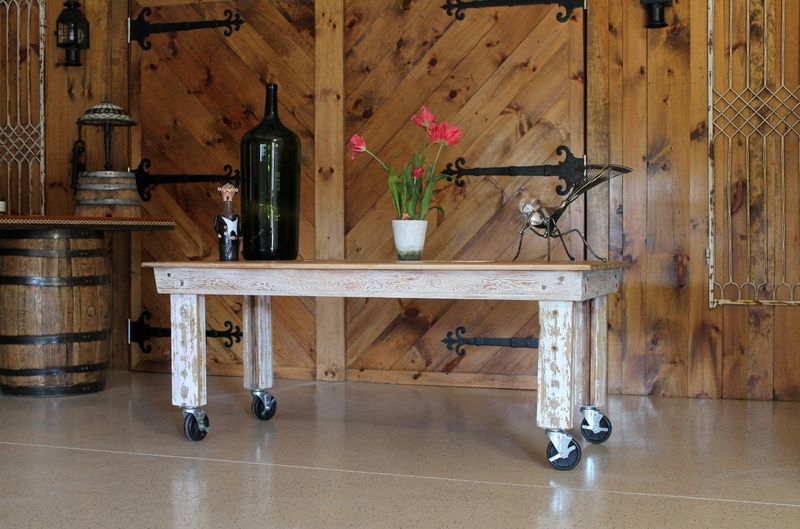 They produce nearly 20 locally made wines and offer daily wine tastings until mid-December. A tasting at Truro Vineyards. Photo via TruroVineyards.com. For $10, you can select five of 10 wines and take home the glass. The vineyard, which produces chardonnay, cabernet franc and merlot, sources grapes from across New England and California to make the remainder of its wines. They also recently opened a distillery, where they produce handcrafted rum and gin in a 250-gallon copper pot still. The wine shop also sells jams, jellies and a wide assortment of wine-related accessories. Looking for a great gift idea: Check out their Lighthouse Series wines, which are composed of Cranberry Red, Diamond White and Cape Blush wines and come in gorgeous lighthouse-shaped bottles. The vineyard is easy to find; look for the enormous oak barrel that can be seen from Route 6, and then head for the circa 1870 Chinese mulberry tree that dominates the front entrance. The winery will be open starting April 7 Fridays through Mondays, and then is open seven days a week beginning in May. You’ll need to drive a bit further to reach the Cape Cod Winery in East Falmouth. The winery is owned by the Orlandella family, who hail from the small village of San Sossio Baronia, Italy, where the residents are known for their passion for winemaking. The winery is located in a farmhouse that dates back to the 1800s and is a wonderful spot to relax and sample the various selections. Among the unique offerings that are produced on-site is a Cranberry Blush, a Blueberry wine and a Beach Plum Chardonnay. Cape Cod Winery is open only on weekends until Memorial Day, when it will be open Wednesdays through Sundays. Tastings are $10, and include five wines and a wine glass adorned with the winery’s logo. Who knew it was possible to find such a wide variety of home-grown red, white and sparkling wines on Cape Cod. Well, now you do.